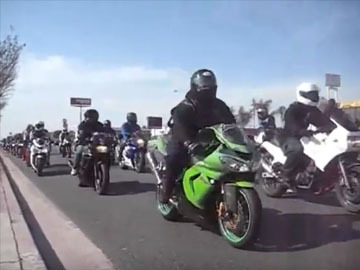 Whether it’s racing, sport touring, cruising, dirt, or stunts, Ghost Ryderz® is an organization of motorcycle enthusiasts who enjoy the sport. 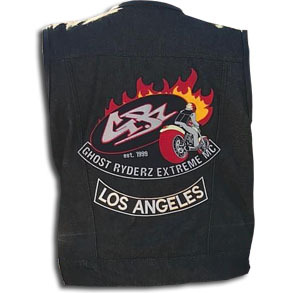 Ghost Ryderz® Extreme Motorcycle Club was formed in July of 1999 when several members and I were told, "You guys were on the road for a few minutes and then you were ghost!" 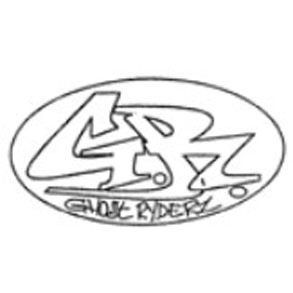 The Ghost Ryderz® then became incorporated in May of 2000 as a non-profit organization in the state of New York. We are a chartered club with the AMA (#2443). 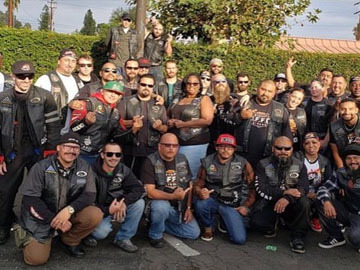 We not only ride but are also involved in the community and support many charitable events. 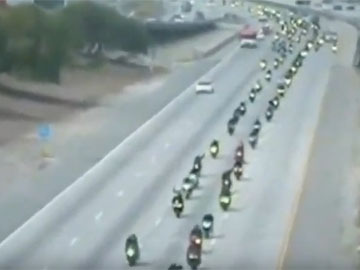 Depending on what type of event we host, is how we ride. On some rides we take it easy. 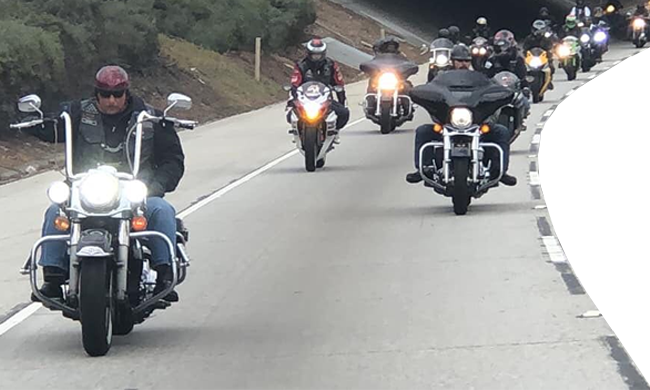 On other rides we wear full leathers and ride hard. 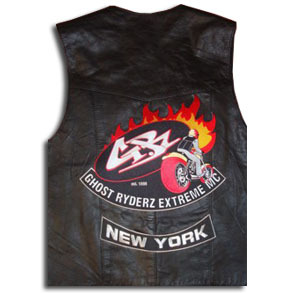 After numerous rides, discussions, and meetings, The Ghost Ryderz Extreme MC was born in New York. 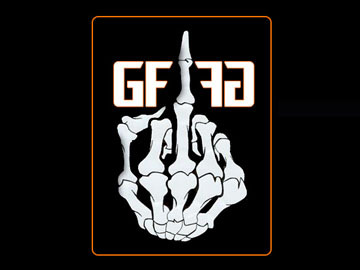 The official logo of the Ghost Ryderz Extreme MC is designed. 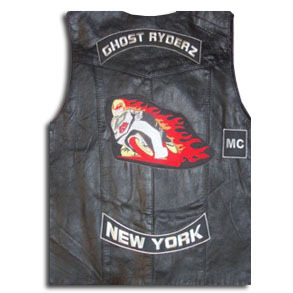 The first set of colors of the Ghost Ryderz Extreme MC is stitched onto the Founder/President’s vest. 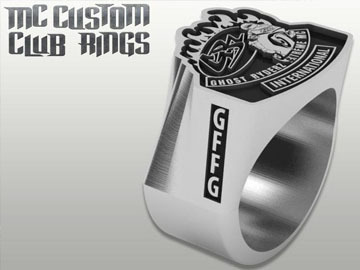 GREMC is incorporated in the state of New York in May of 2000 becomes a charter of the American Motorcycle Association. 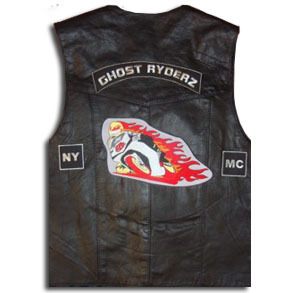 The Ghost Ryderz Extreme MC original colors are altered by changing the NY square to a New York bottom rocker to represent and show community pride. 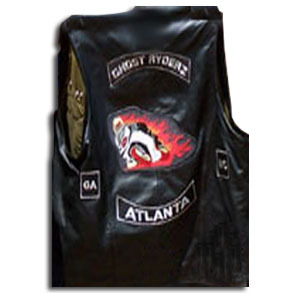 The Ghost Ryderz Extreme MC open a chapter in Atlanta, Georgia. 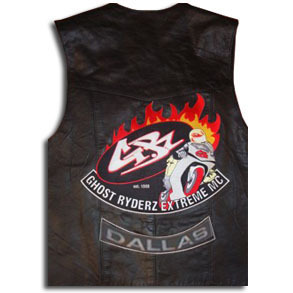 The Ghost Ryderz Extreme MC open a chapter in Dallas, Texas . 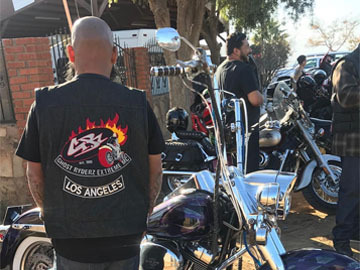 The Ghost Ryderz Extreme MC open a chapter in Los Angeles, California. GREMC add a cruiser to the colors, for the very few members nationwide who don’t ride sport bikes.